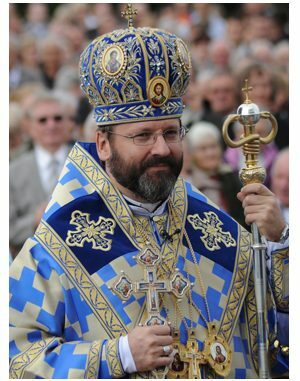 (December 22, 2014, Information Resource of the UGCC) The first step toward unity of the Churches in Ukraine “must be the unification of the Orthodox Churches, because they have no dogmatic difference,” the Head of the Ukrainian Greek Catholic Church, His Beatitude Sviatoslav maintains. According to remarks by Pope Francis, who recently visited Istanbul and met with Patriarch Bartholomew, the path to unification consists not in the subordination or absorption of one Church by another, His Beatitude noted. Church unity consists of intercommunion [soprychastia]—Eucharistic fellowship and the possibility of celebrating the Divine Liturgy together.